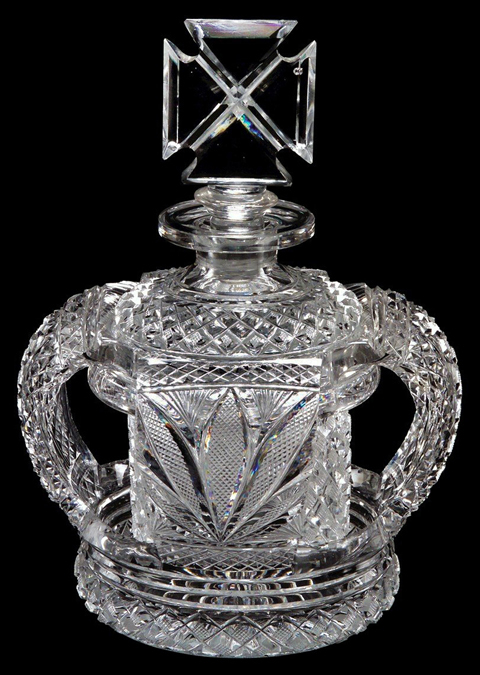 Scent bottles have always commanded greater designer attention and been lavished with finer craft skills than any other vessel. This inevitably meant that despite their mini sizes, the best have also ranked amongst the most prestigious and expensive. Small glass flasks for scents and oils have been formed for around 3,500 years. In ancient Mesopotamia, they were shaped by coiling molten glass, like hot plastisene, around appropriately formed dung cores. Even using these primitive methods, Middle Eastern and Greek glassmakers achieved extraordinary results. 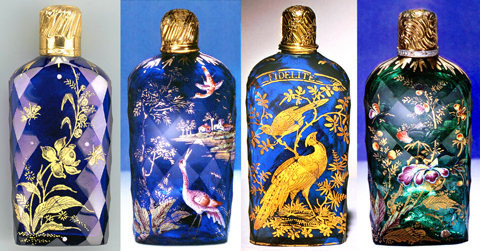 Happily for both perfume manufacturers and their customers, over 2,000 years have elapsed since the birth of glass-blowing, meaning that bottles longer are no longer formed around desert animal poo. The shift of the centre of the glassmaking world from Arabia to Europe with the fall of Damascus in 1405 ignited and inspired the European glass industry by boosting local skills. Renaissance miniature, high-end flasks for oils and fragrancies in precious metals, rock crystal and glass still gleam with timeless quality and wealth. Glass remained the exclusive preserve of the mega-rich for centuries, and it wasn’t until the 20th century that industrialisation democratised its ownership by making it affordable to working people. By the 1960s, even Woolies and the Avon lady sold scent bottles.